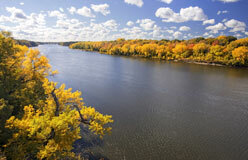 No author is more closely linked to the Mississippi River than Mark Twain. 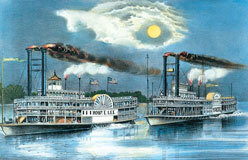 Twain was born Samuel Clemens in Florida, Missouri, in 1835. 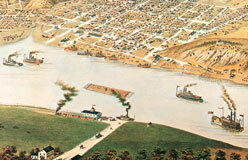 When he was four, his family moved to the little town of Hannibal, along the shores of the Mississippi. Clemens left Hannibal at the age of 18 and became a world-famous author and humorist. 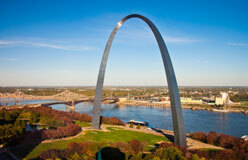 But it was Hannibal and the Mississippi that inspired his greatest works.